Double G began as the vision of its founder, president and CEO, Richie G. A born performer who's been playing the guitar and drums since age 6, Richie has an incredible understanding of what it takes to engage a crowd and make a party thrive. When he formed Double G, he became a pioneer in this area of entertainment, allowing customers to go to one place and come away with a complete party package, entirely customized for their needs. He realized early on that, in order to succeed in this business, you need to do more for your customers, providing value and service that set you apart from your competition. This is a belief that Double G prides itself on, consistently working with our clients to ensure that they get the most out of their budget, no matter how large or small. We have our own incredible warehouse stocked with lighting, sound and staging supplies, décor, tables and chairs, dance floors, plasma TVs, video games, casino games, inflatable carnival rides, and more service upgrades than you can imagine – and because we own all our own equipment, you never have to worry about issues arising from outsourced vendors. We have award-winning caterers, professional videographers and photographers, and gifted entertainers capable of reading a party, anticipating your guests' needs, and adapting and reacting to the flow to make sure that your event keeps everyone engaged. Simplify without compromise; make one call to Double G and we'll handle every detail of your party, ensuring that the entire affair is seamless, smooth and sensational. Double G prides itself not only on providing amazing service to our customers, but also giving back to our community, and has proudly raised hundreds of thousands of dollars that have gone toward causes including cystic fibrosis, MDA, juvenile diabetes, breast cancer and AHRC. 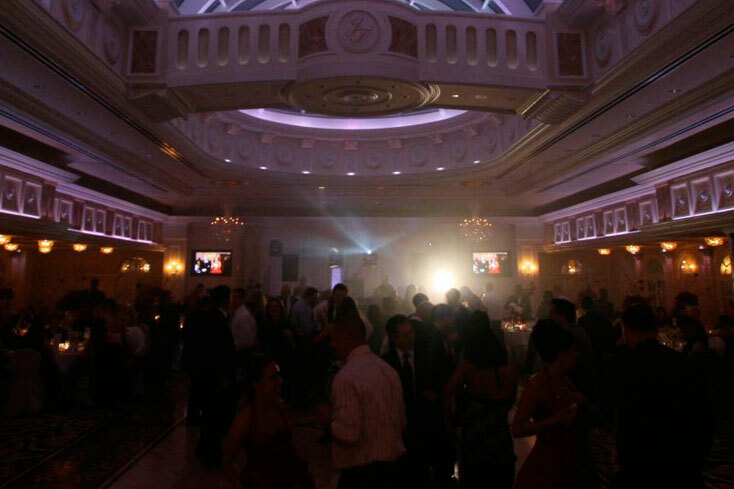 Over the years, Double G has planned parties for clients such as Mastercard, American Express, Philip Morris, JetBlue, Chase Manhattan, Citibank, Anderson Consulting, Fred Savage, Henry Winkler, Gabe Pressman, Mario Cuomo, Mark Spitz and Magic Johnson.